Interested in Learning or Volunteering at St John’s Centre? 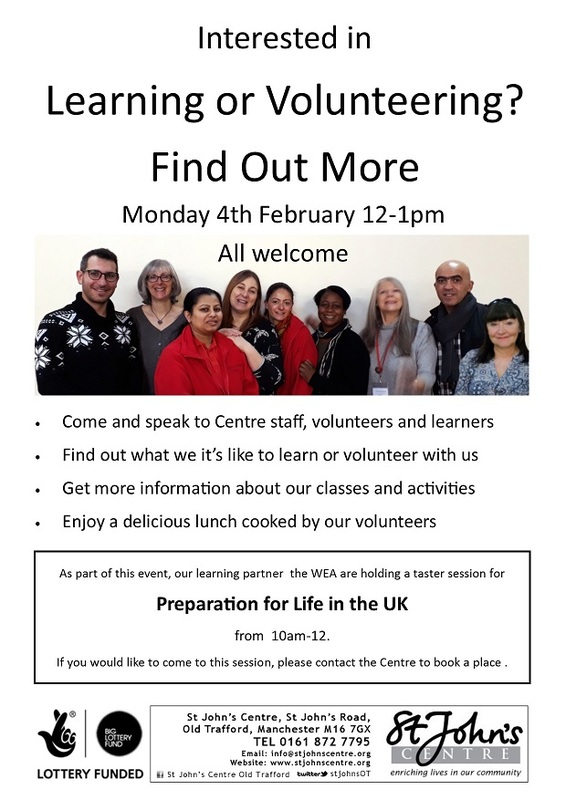 As part of this event, our learning partner the WEA are holding a free taster session for their Preparation for Life in the UK course from 10am-12. If you would like to come to this session, please contact the Centre to book a place .